UFC 120 is indeed a good fight, but not all winners went home okay. So for medical purposes, UFC suspended 20 fighters from the event. Check out the who's who below. The Ultimate Fighting Championships issued medical suspensions to the 20 UFC 120 fighters for precautionary measures. As with most overseas shows, the UFC acted as its own regulatory body since no hosting athletic commission was available. The regulatory body was headed by UFC Vice President of Regulatory and Government Affairs, Marc Ratner. Both Mike Pyle and Cheick Kongo will face a 180-day suspension due to a right hand injury. However, a clear X-ray result will lift their sanction. Travis Browne is suspended for 180 days due to a left hand injury. But he can be cleared early if an X-ray detects no problem with his thumb. All three of them, though cleared, will still undergo a mandatory 30-day suspension for precautionary reasons. Rob Broughton will also face a 180-day suspension due to possible shoulder and chest injuries. He need to have an X-ray examination and MRI to be cleared early. Still, his mandatory suspension will run for 45 days. Other suspensions, all for preventive measures, are posted after the skip. Here are the Official Results of the UFC 120 London Event. Check out the gallery for our exclusive photos at the event. The official weigh-in results for Saturday’s UFC 120 event are up. 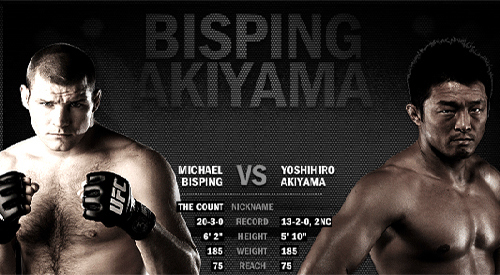 UFC 120 was headlined by middleweights Michael Bisping and Yoshihiro Akiyama. 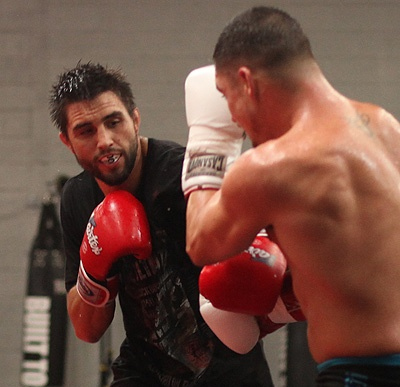 Plus there was also a fight between welterweights Dan Hardy and Carlos Condit. This event was aired at Spike TV via same day delay. The event was take place at O2 Arena in London, England 8pm ET / PT. Did your bets emerged victorious in UFC 120? Find out the fighters who dominated the octagon and those who went home empty-handed. 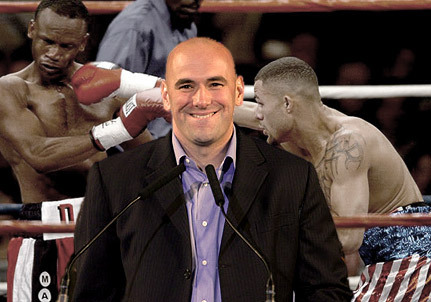 Here’s a blow-by-blow account of the fights during UFC 120. 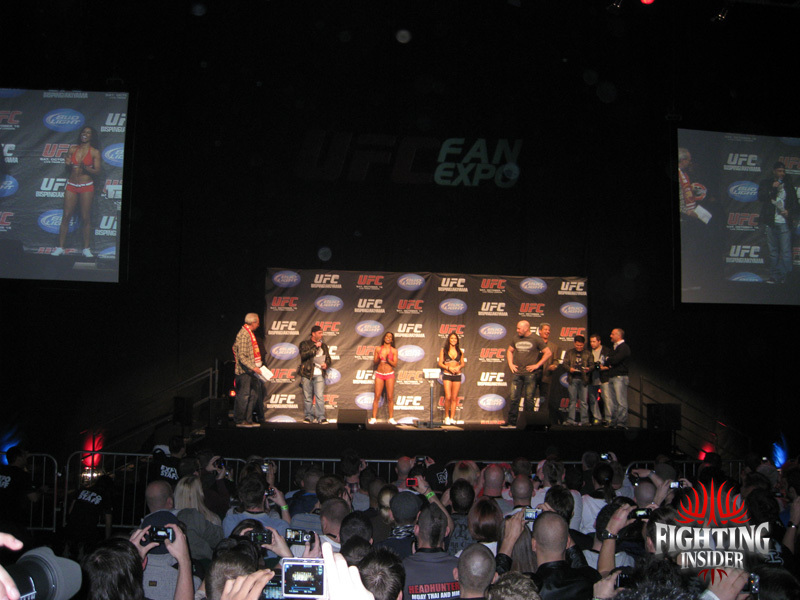 The event was headlined by Michael Bisping ans Yoshihiro Akiyama. The brawl took pace at O2 Arena in London, England. This is the big return of the promotion at the O2 Arena and since UFC 95. Check out the full results included after the skip. John "The Hitman" Hathaway's record got its first cross mark after acquiring his pioneer defeat from Xtreme Couture's Mike Pyle. And in addition to a marred record, he also got a battered face. 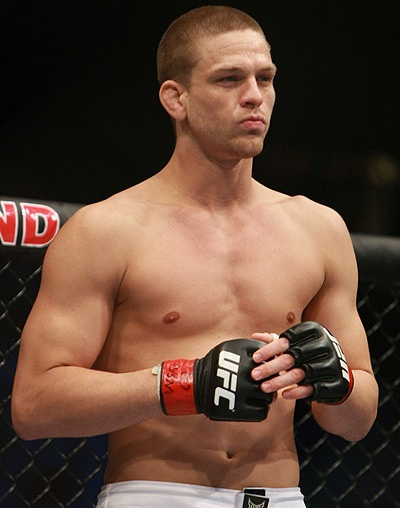 Mike Pyle ended John “The Hitman” Hathaway’s undefeated streak via unanimous decision at the UFC 120 last Saturday. Both fighters came out in the first round with caution. But it was not long before Pyle shot a hard double-leg to the London Shootfighters product. However, Hathaway was able to recover and took the center cage. Still, Pyle managed to find a home for his right hand, throwing his opponent to the floor to end the frame. Carlos Condit delivered a career-defining performance in the co-main event of UFC 120, as he knocked out Dan Hardy in the first round of their welterweight clash. Early on, the crowd were already chanting Hardy’s name. The fighters exchanged hard leg kicks, and both men remained standing as the round goes on. Hardy tried to hit Carlos Condit with his counter left hook, but caught a colossal left from his opponent instead. Condit rattled the heavy-handed fighter with his simultaneous left hooks, then Dan Hardy semi-consciously hit the floor at 4:27. Though Yoshihiro Akiyama showcased how strong he was as a fighter, Michael Bisping was able to outperform him at UFC 120. And with Bisping's faith with his training and skills, he made England proud. The hopes of the entire England rested on Michael “The Count” Bisping, as he faces Yoshihiro “Sexyama” Akiyama at UFC 120 last Saturday. 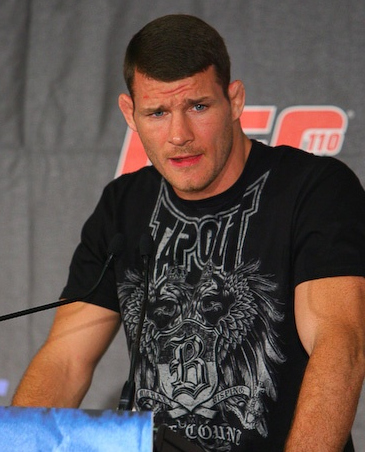 Good thing, Bisping did not disappoint the people in his home turf, as 16-0 now anchors his resume. During the first round, Akiyama seems eager to end the bout. He landed Michael Bisping with a dynamite right hand, and continued to pop his opponent with left hooks and stiff jab. And though Bisping scored a take-down with Yoshihiro Akiyama, the Japanese fighter was able to get back to his feet. Following an exchange of low blows, The Count started to press the action as he delivered a flying knee to end the round. Before you miss the fun, the UFC 120 will no longer air at 9:00 pm. Tune in on SpikeTV at 8:00 pm ET on Saturday, so you can get the scoop to the upcoming hard-hitting event. 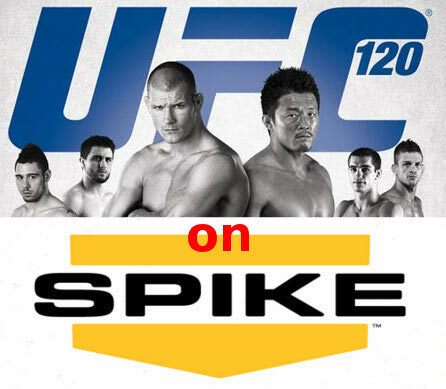 UFC and SpikeTV issued a programming alert today with regards to the upcoming UFC 120 telecast. The UFC 120: Bisping vs Akiyama will air in tape-delay at 8:00 pm ET on SpikeTV, and no longer at 9:00 pm as previously listed. The event will feature a hard-hitting middleweight battle between Michael Bisping and Yoshihiro Akiyama, plus Dan Hardy will fight his way back to the 170-pond title shot against Carlos Condit. Another exciting fight between John Hathaway and Mike Pyle has also been made official for the bout. The complete UFC 120 line up is posted after the jump. Quicksand is now ready to hit his fist on Hathaway as they are set to meet at the upcoming UFC 120. Can Mike Pyle give Hathaway's clean record an inkblot? Or will The Hitman's record remains unmarred? Mixed martial arts veteran, Mike “Quicksand” Pyle, have his fingers crossed that his training at Xtreme Couture will pay off when he squares off with John Hathaway at UFC 120. Quicksand is 2-2 under the UFC banner, and will give the undefeated Hathaway a one hell of a fight. Can Pyle get it done? Or will the Brit fighter, Hathaway, retains an unblemished record at the 170 pound? The Outlaw is deemed to make a difference in his upcoming UFC 120 match with Carlos Condit. Dan Hardy is more than a brawler now, thanks to his secret weapon and new-found fighting style. Carlos Condit will step on the UK ground as he square off against Dan Hardy at UFC 120. But is seems like Condit will be in for a surprise. 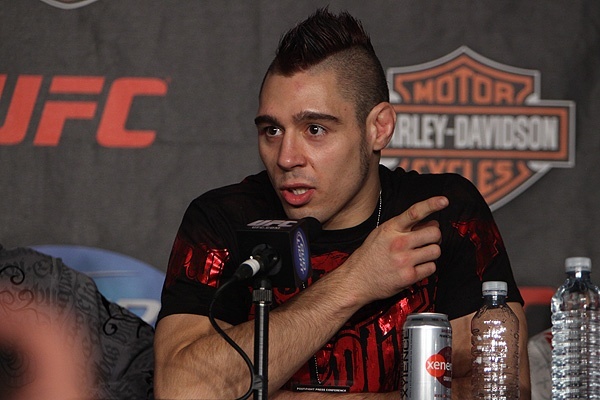 The ever entertaining Dan Hardy is hiding a secret weapon to help him get back to the welterweight title road. After his defeat against George St-Pierre last March, Hardy dedicated the past seven months in improving his ground skills. It is no brainer that Carlos Condit has the ability to turn things into a ground fight. Therefore, Dan Hardy is working close to Dean Amasinger to enhance his take-down defense.